Applications for this fellowship are open from 17 December 2018 – 27 February 2019. The fellowship is aimed at young high-flyers and mid-career professionals from diverse backgrounds with a strong and demonstrable leadership potential. ** Be a citizen of India and currently live in the country. You must not hold British nationality. Just follow the below steps to apply for the Chevening Gurukul Fellowship 2019-20. Step 2 : Create an account on the portal. 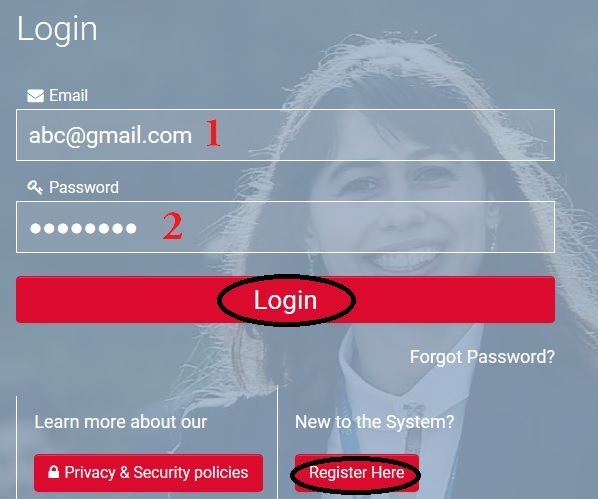 Step 3 : Log- in and access the application form. Step 4 : Fill the application form carefully with the relevant details. Step 5 : Attach the required documents. Step 6 : Submit the form. 1. Can I extend my fellowship? Extensions are only granted in exceptional cases and subject to funding. They are not recurring and shall not be assumed. 2. Can I change my flight once it has been booked? Yes but the applicant will be responsible for the additional costs associated with the change. 3. When will I receive visa application guidance? The applicant will receive the visa application guidance in the pre-departure Fellowgram, approximately 8-10 weeks before the start of the applicant’s Chevening Fellowship. 4. Can I defer my fellowship? Deferrals are only granted in exceptional and specific circumstances. For more information, review the fellowship terms and conditions. 1. A total of 12 fellows will be selected for the fellowship program. 2. It will be a 12-week intensive residential course in the Department of Politics and International Relations (DPIR). ** Economics of global integration – growth, trade, regulation and deregulation. ** The role of science and technology – climate change, the internet, technological interconnectedness, cybersecurity. ** International governance and government of the nation-state – the UN, WTO and trade agreements, the European Union and Brexit. ** Social challenges of and to global integration – migration, refugees, inequality and intolerance. ** The new politics of support and opposition to global integration – nationalism and internationalism, security and conflict. ** Personal development and leadership skills. 4. The course includes various site visits in the UK and Europe, researching and presenting on a public policy plan to be developed throughout the course. 5. Fellowship tenure dates are listed in the final award letter. 6. Stipend payments will only be made for the duration of the fellowship. 7. Fellows are expected to return to their home country at the commencement of the fellowship program.